In a large bowl, shisk together sugars and next 5 ingredients until well combined. 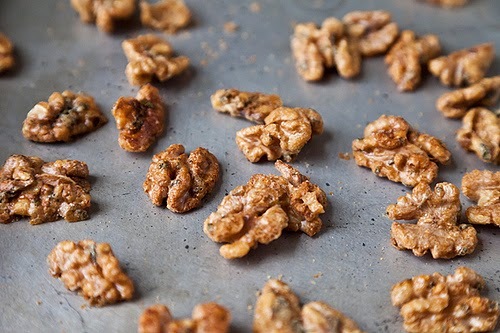 Stir in walnuts until well coated. Spread in a single layer on a rimmed baking sheet. Bake for 30 minutes, stirring every 10 minutes. Spread in a single layer on parchment paper to cool. Store in a airtight container for up to 1 week.